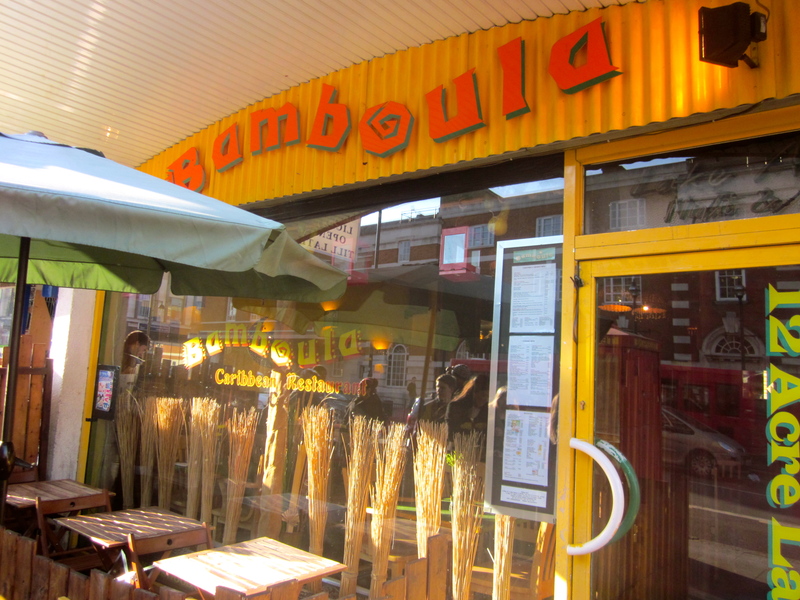 EATabetical: an alphabetical dining adventure through London's ethnic restaurants. While this doesn’t count towards my “London dining adventure,” the food eaten during my trip to Mexico in December/January can’t go unwritten! This will be part one of four (that makes it sound fancy, right?) on a series of posts about stuff I ate in Mexico. And I figured I should start with tacos. 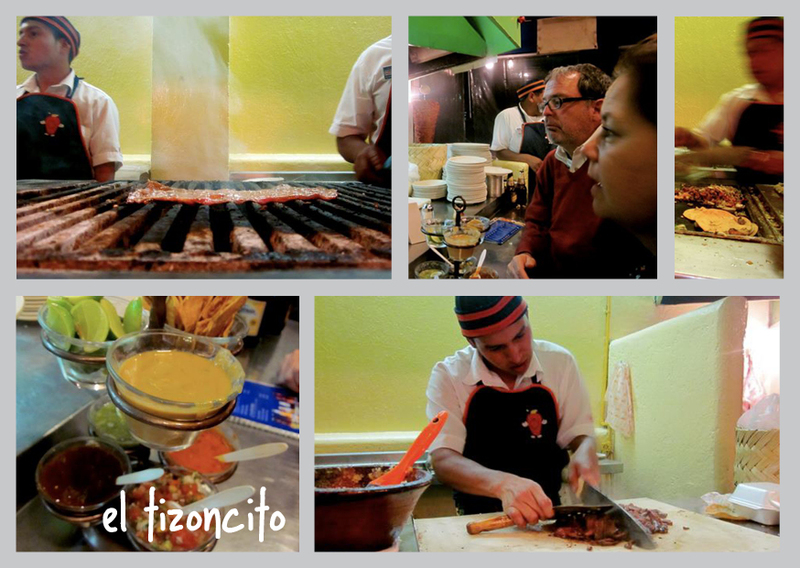 Mexico City is a must for taco-lovers. Tacos al pastor were apparently brought there by Lebanese immigrants in the 1930s. And as far as I’m concerned, when a kebab meets a taco, only good things can happen. 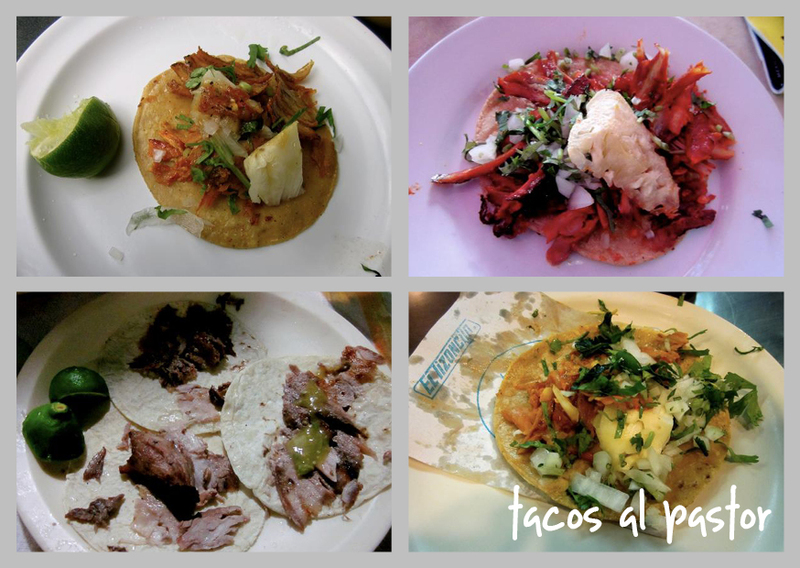 But no one wants to hear about the history of tacos, so here are some pictures. El Tizoncito was our favorite taco place, hands-down, largely due to the seats facing the grill (note: there are two El Tizoncitos on the same road and only one has grill-side tables!). You can see how enthralled my parents are with the grill-master, who was another reason we loved this place. 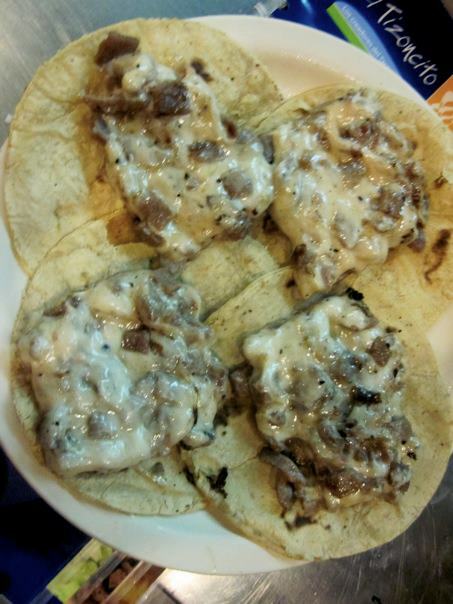 That and they served these things called alambres where they mixed together diced meat, cheese, bacon, onions, and peppers before serving them on a warm corn tortilla. I don’t speak Spanish so I’m not sure what it means, but I’m just going to assume the translation is delicious. Dad’s beer selection struck me as odd. 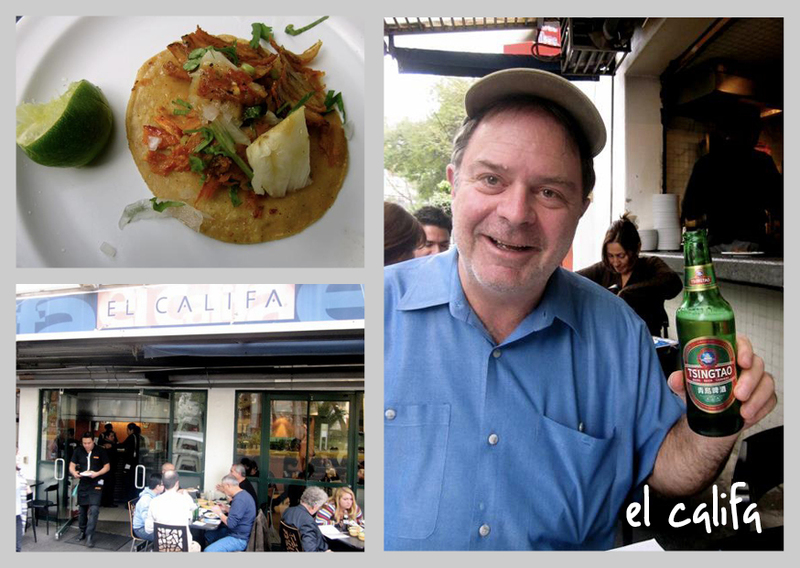 El Califa had solid tacos, but our preference was usually a little less orange / less seasoned, like the surprise hit, La Tropicana in Puerto Escondido. 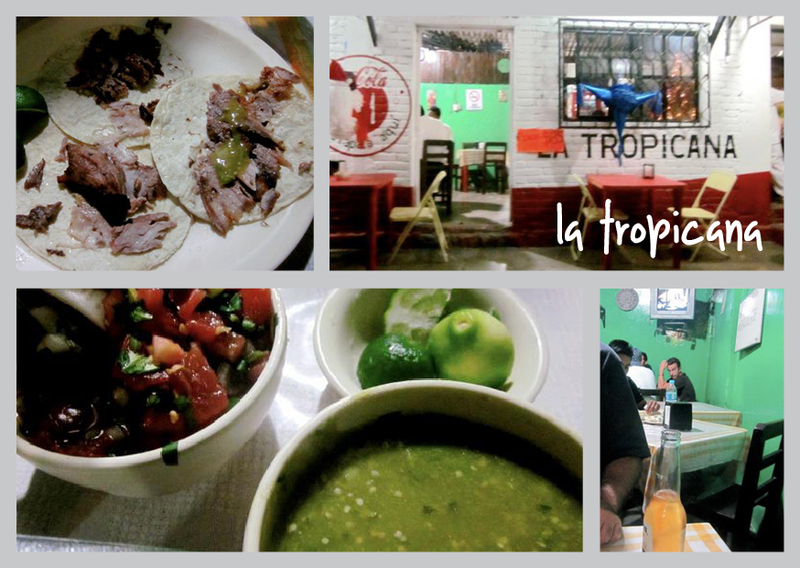 La Tropicana also had amazing tacos al pastor (our second favorite spot of the trip), especially since we weren’t expecting Puerto Escondido’s pastor to stand up to Mexico City’s. Always trust a taxi driver’s dining recommendations. If we had to have a least favorite taco spot, it was probably have to be El Farolito. This place was far less lively than El Tizoncito and El Califa. 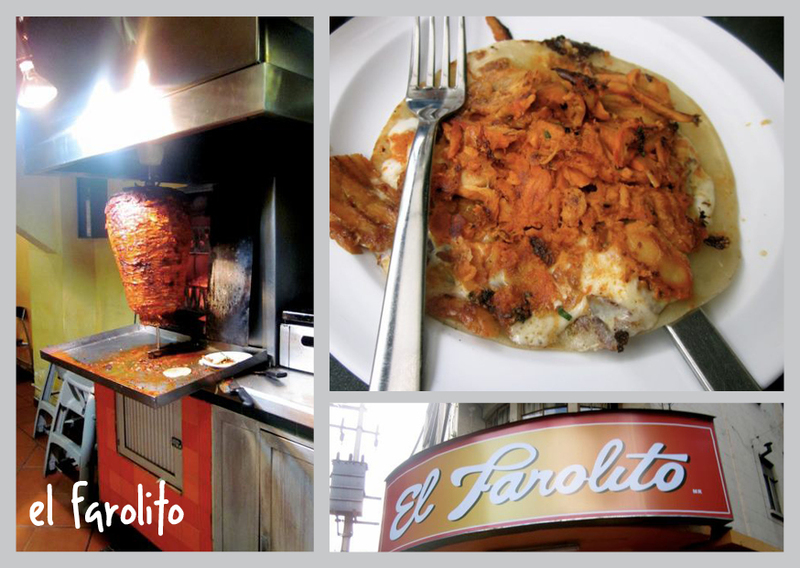 But, El Farolito made up for that with an airport location that surpassed all expectations of airport food. I had been having stomach issues the day before, not consuming my full potential at our second visit/eat-a-thon to El Tizoncito, but arrived at the airport early in the morning feeling much better and very hungry. 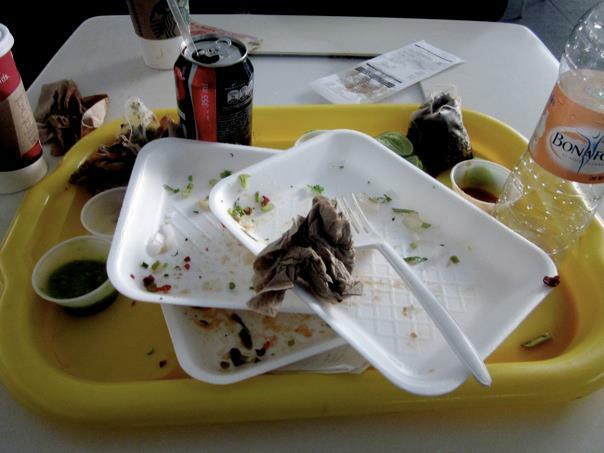 The remains of my airport tacos. So…I demolished six more tacos in one sitting. An excellent way to start the New Year and end our brief trip to Mexico. Well, hello! Happy New Year (if you can say that in February.) My new year brings a resolution to eat at two ‘letters’ per month, which I’ve already failed. Hey ho. 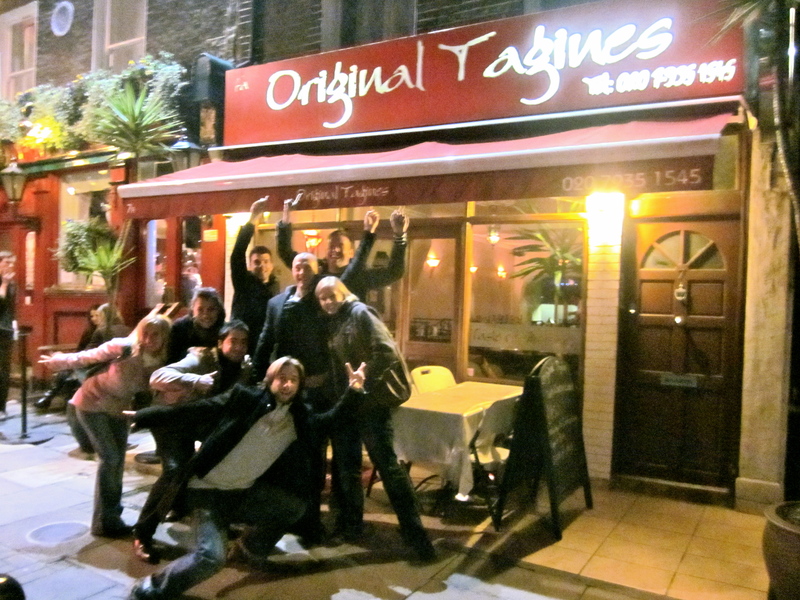 G Adventures 'The Summit' at Original Tagines! M for Moroccan might not seem like the most adventurous of choices, but I haven’t had a lot of Moroccan food in my time so was excited when a friend suggested a street in his neighborhood (Golbourne Road) that is known as “Little Morocco.” Alas, the recession hasn’t treated “Little Morocco” too kindly, so we headed to Original Tagines, near Baker Street. 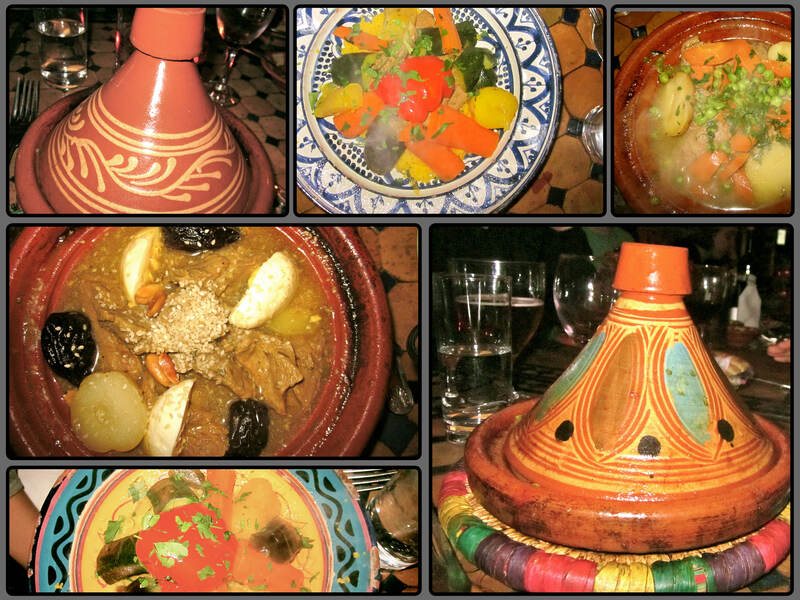 Tagines are exactly what I was after. Ever since reading Jodi’s post about tagines, I’ve felt like I was missing out on something big having never had tried one. Plus, they come in really cool pottery! 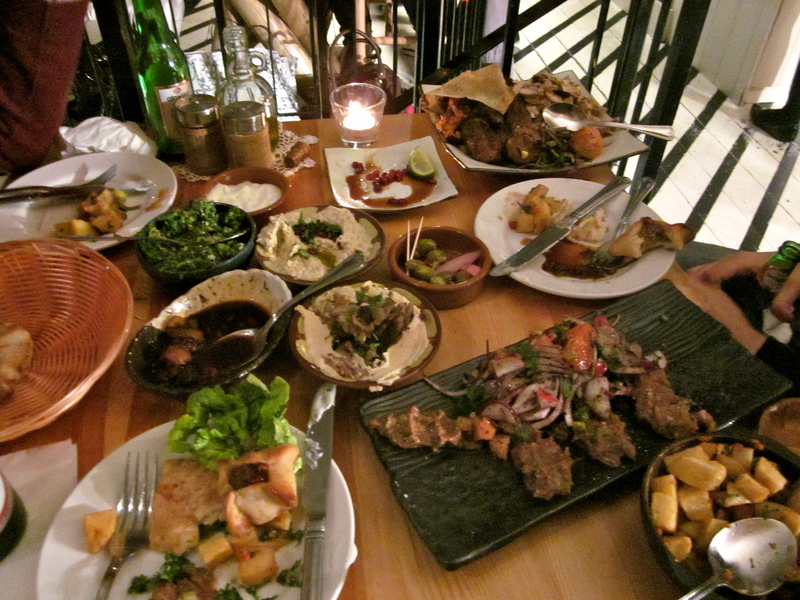 All were tasty, but none particularly noteworthy, especially after the incredible mezzes at Yalla Yalla. I did enjoy trying kidneys for the first time and will add them to the long list of offal I enjoy. Couscous and tagines seemed to be the obvious choices for mains. 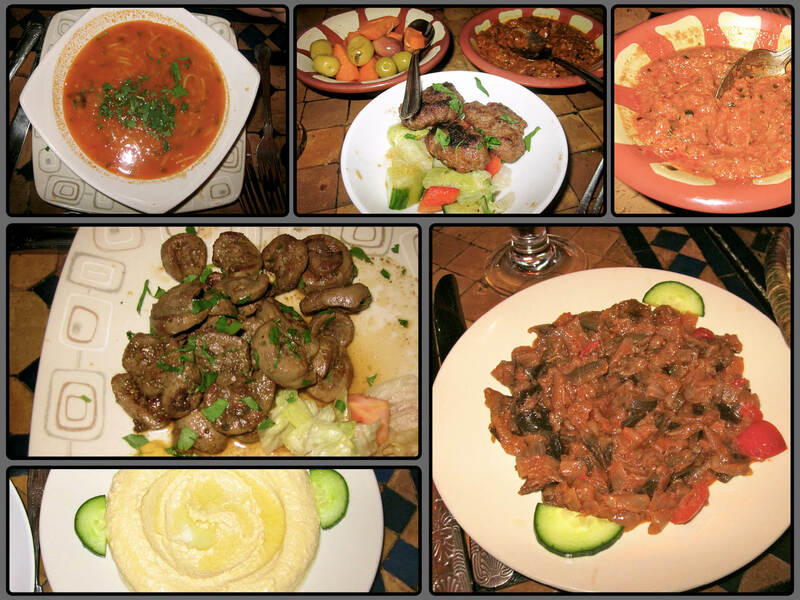 I ordered a tagine with lamb, prunes, egg, and almonds, though there were over 10 tagines to choose from, pairing vegetables, chicken, lamb, or fish with dried fruits, vegetables, or ginger. 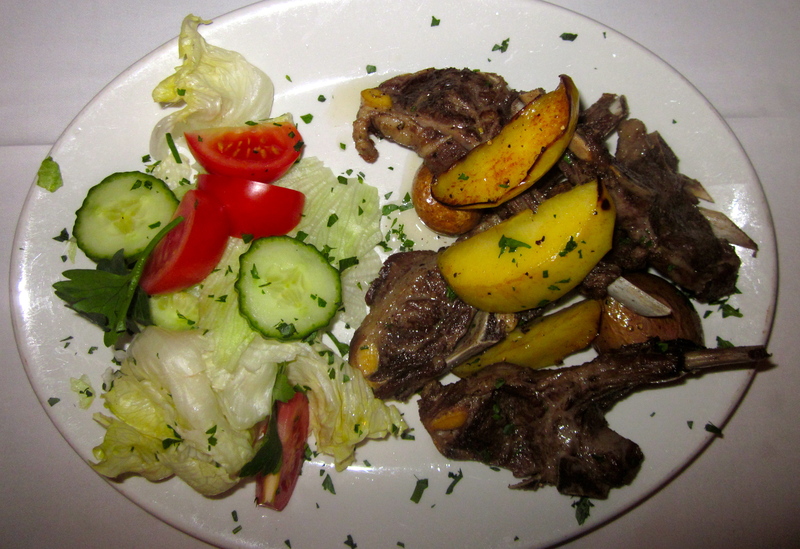 I was impressed with how tender my lamb was, and loved the sweet/salty combinations of the prunes and meat. Everyone else enjoyed their dishes as well, though no one raved. Next up ‘N.’ But since there are no Omani restaurants in London, any brilliant ideas for what I should eat for ‘O’ would be much appreciated! 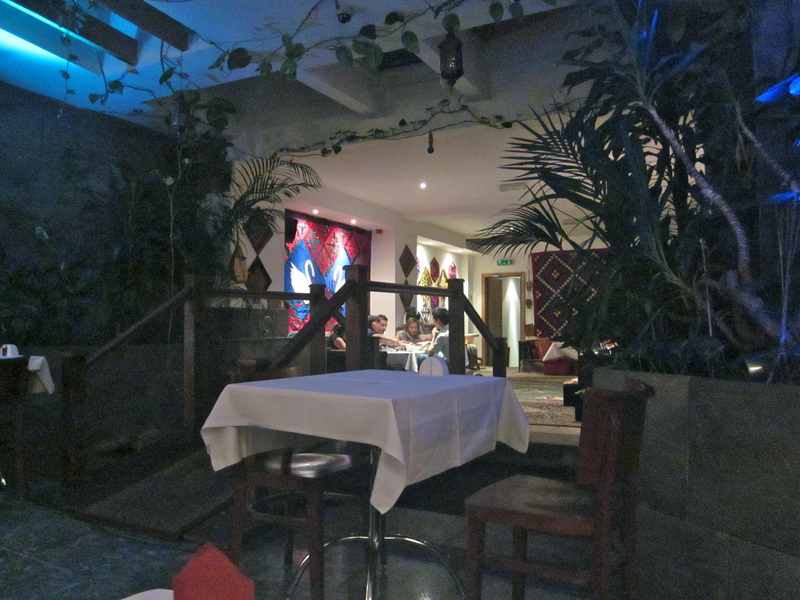 Inside the tiny Original Tagines. meals: £20-30 each with appetizers and drinks. Here’s a new EATabetical (and general life) rule. Eat with locals. 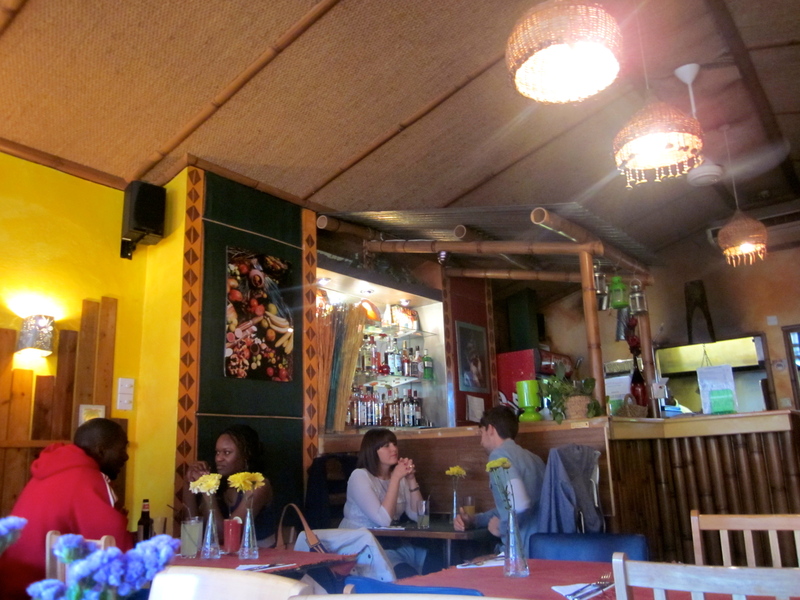 A couple of weeks ago, Pete and I ate at Yalla Yalla (“hurry! hurry!”), a restaurant serving Beirut street food, with Nael, a colleague of Pete’s from Lebanon. And what a difference it made. To be fair, there was no question that I wasn’t going to like Lebanese food (I eat it at least once a week at work! ), but I couldn’t pass up doing an EATabetical letter with an expert. 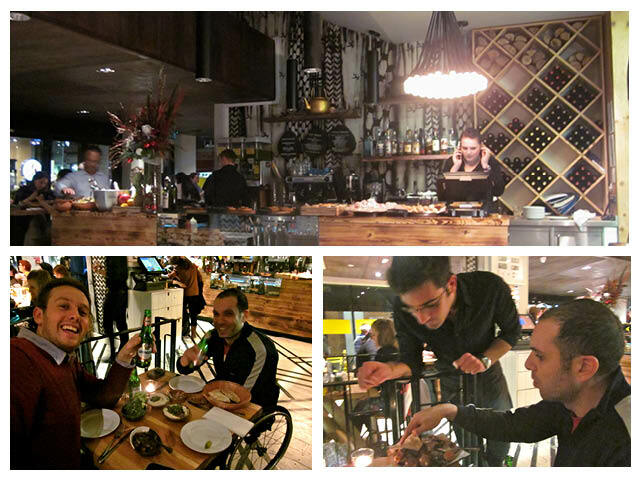 We let Nael do all the research and restaurant-picking and Yalla Yalla was what he chose. 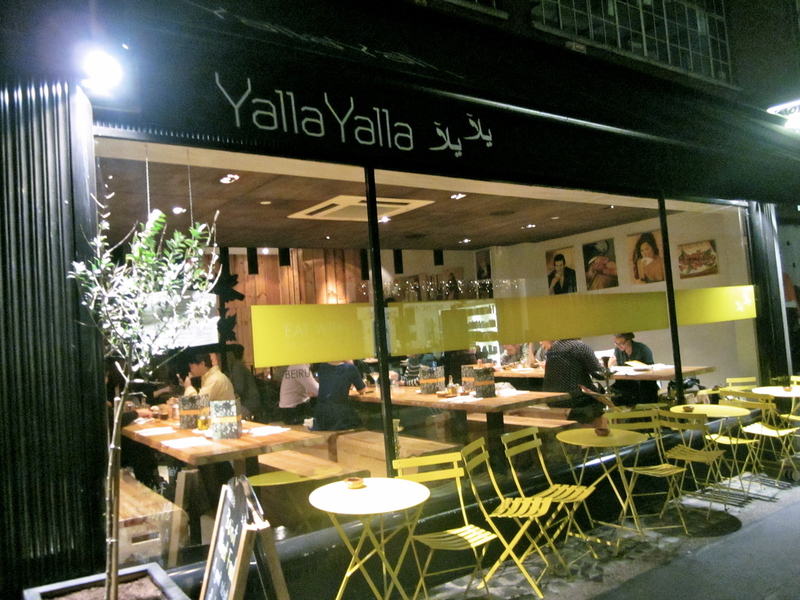 At first I’ll admit, I was skeptical of Yalla Yalla’s sleek website and chain-like atmosphere (there are two locations in London), but not all amazing food has to come from hidden holes-in-the-wall. 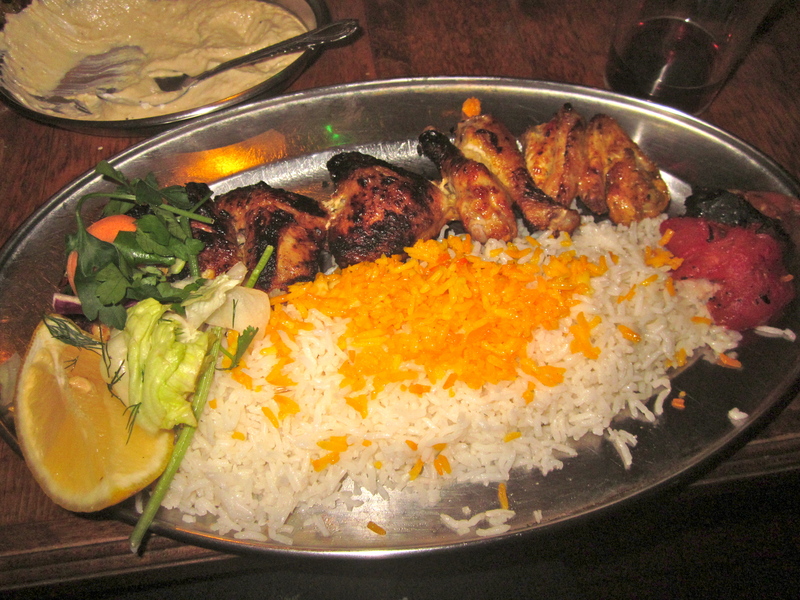 There’s a reason Yalla Yalla was packed on the Tuesday night we went: the food is delicious. 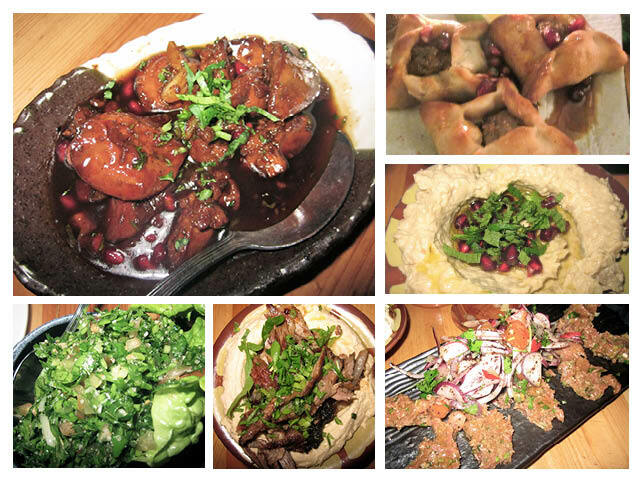 Clockwise: lamb pastries, baba ghanouj, lamb tartare, houmos with lamb, taboule, delicious, delicious chicken livers. Although I kept quiet while Nael was ordering (not an easy task for an opinionated order-er such as myself! ), I was secretly eyeing the lamb tartar and chicken liver dishes, and was relieved when he selected them. These two dishes were by far the stand-outs, though everything was incredible. Lately I’ve been trying to convince every I know that they would love these chicken livers, even if they aren’t liver fans (which I am.) Same goes for the raw lamb. Even the dishes I’m very familiar with- baba ghannouj, taboule, hummous- were noteworthy at Yalla Yalla. While we ate, Nael explained more about the dishes to us, common ingredients, how people eat in Beirut, and the slight variations on the same dishes from country to country. Here’s a video of Nael listing all of our dishes. Everyone knows travel and food experiences are better with a local, and this is just further proof. So if you’re from a country that begins with ‘M’ and lives in London– I’m looking at you! meals: about £15-20 each with drinks, sharing. Inside Pasha Kazakh Kyrgyz House. Pasha is exactly what I had in mind when I began EATabetical. 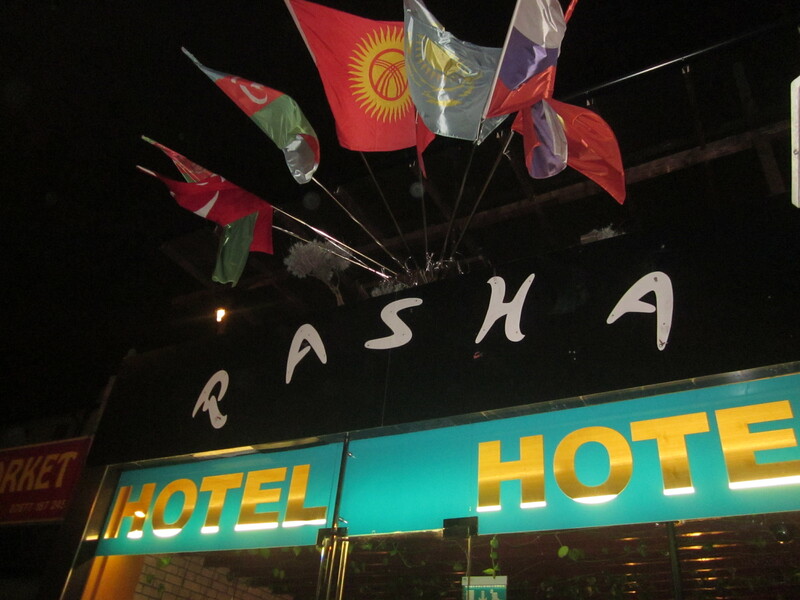 Walking into Pasha Hotel in Camberwell, I felt as if I had temporarily exited London and entered some unknown Central Asian territory. 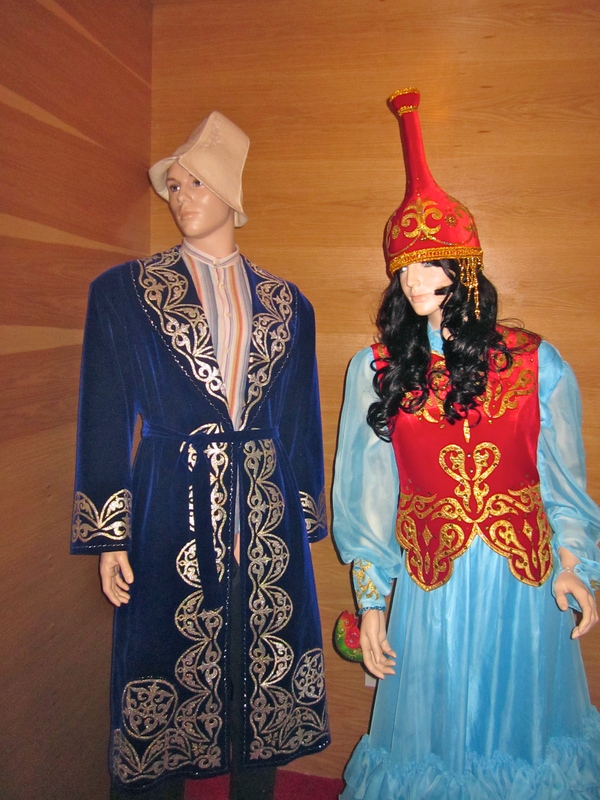 Really I was just wandering down a tatty red carpet in a somewhat skeevy hotel passing by empty Turkish massage rooms and creepy traditionally dressed Kazakh/Kyrgyz/whoknowswhat mannequins…but it was definitely unfamiliar– and in a good way! I’d like to say I had found this bizarre hotel/restaurant on my own, but alas, Groupon led me here. I purchased a £16 Groupon for “Three Courses of Turkish Specialties for Two.” Turkish? 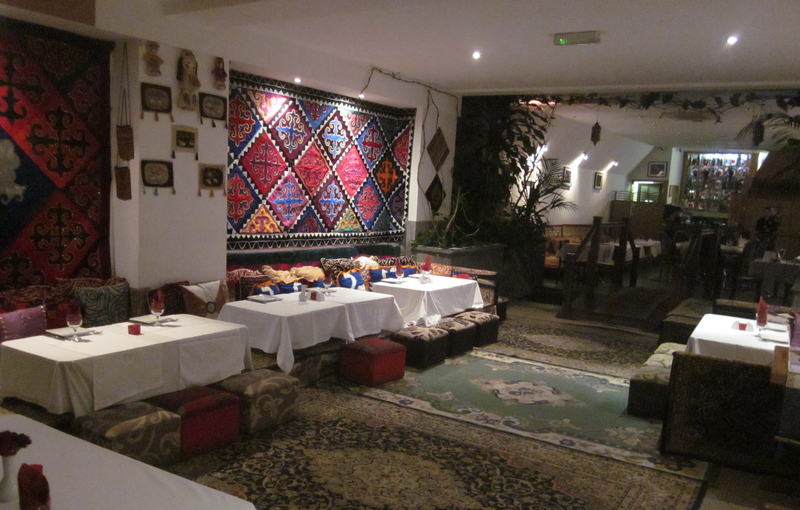 Well, upon further research I found out that Pasha has two outlets- a Turkish restaurant in Wapping and the Kyrgyz Kazakh House in Camberwell. The interior felt quite simliar to some of the Xinjiang restaurants Pete and I enjoyed so much in China, without the shirtless Uighur men in sequined fedoras, of course. Unfortunately my Groupon wasn’t valid on weekends, when live dancing occurs at Kyrgyz Kazakh House! In fact, my Groupon wasn’t valid at all. It expired August 31st, but they let me use it anyway- the first example of the phenomenal service that continued throughout the evening. We started our meal with complimentary borsok, the national bread of Kazakhstan, and hummus. Basically, borsok is like little bite-sized pieces of unsweetened donuts. 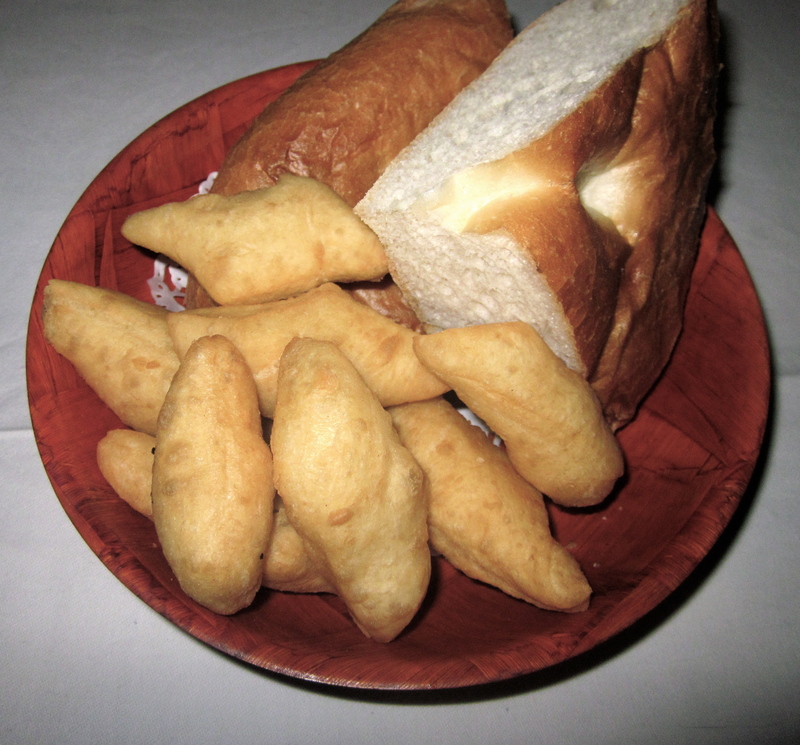 Very similar youtiao, a Chinese breakfast food. For appetizers, we selected funchoza and kibbeh. 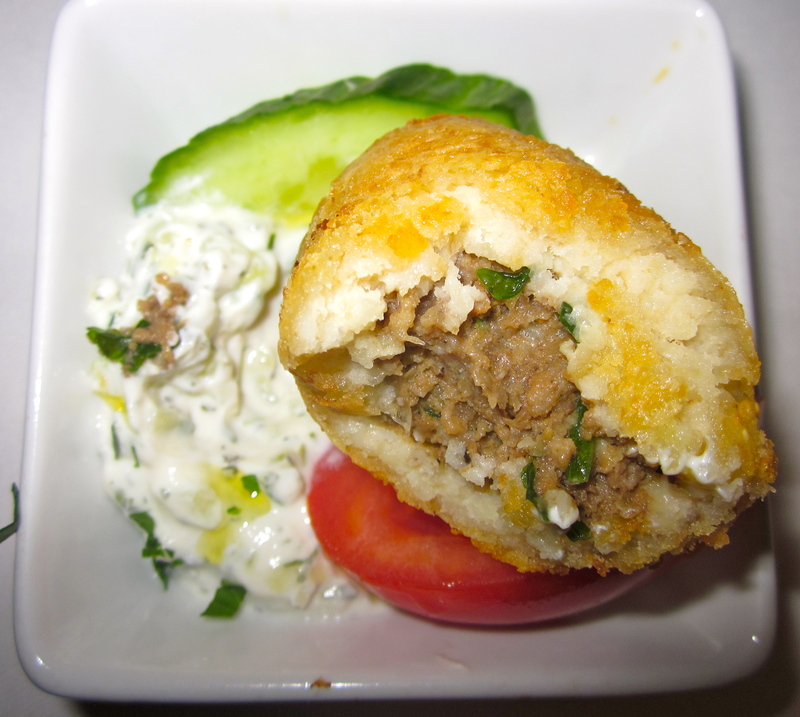 I can’t find the exact origin of funchoza, a Central Asian noodle salad, and kibbeh (balls formed from bulghar wheat and stuffed with minced lamb) seems to be decidedly Middle Eastern (the menu was not limited to strictly Kazakh/Kyrgyz food.) Nonetheless, both dishes were very tasty. We also sampled manti, a dish found in both Kazakh and Kyrgyz cuisine. 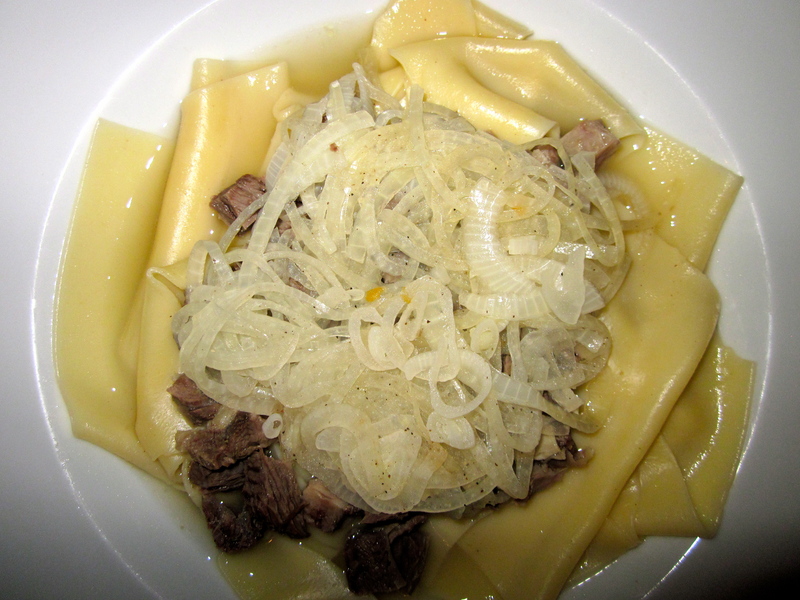 In Kazakhstan, the manti filling is commonly horsemeat, but since that wasn’t an option, we went for lamb. 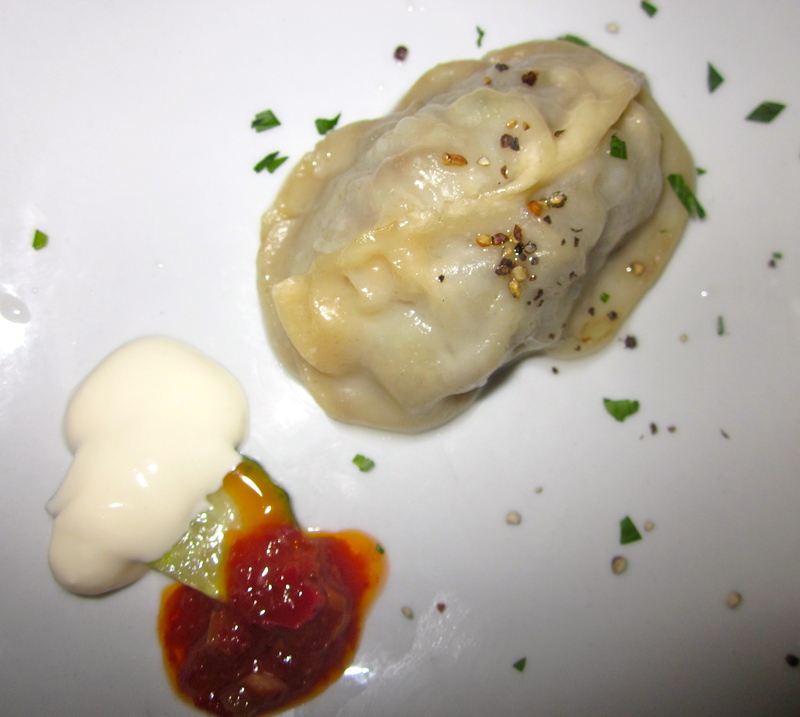 It was basically a big dumpling, similar to Russian pelmeni. I liked it a lot, since I’ve never met dumpling (or anything served with sour cream and hot sauce) that I didn’t enjoy. For my main, I selected beshbarmak, the national dish of Kyrgyztstan (how many people can say they’ve had the national dish of Kyrgyzstan?!) 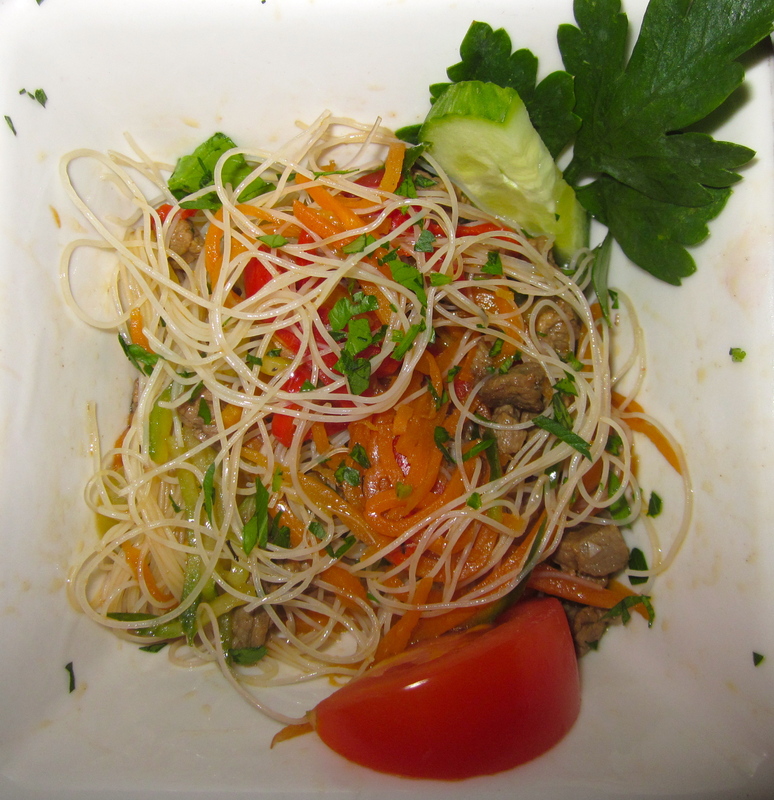 Beshbarmak is a hearty but pretty tasteless dish of homemade noodles topped with diced lamb and a little bit of broth. Despite lacking in any real flavor, the noodles were really good. Beshbarmak is eaten ceremoniously and with one’s hands, but I unfortunately didn’t know this at the time. Pete, unsurprisingly, ordered a kebab, a move that (stupidly) angered me at first because it didn’t seem very adventurous. But when his “kebab” was served lamb-chop style with roasted apples, I realized that all kebabs are not created equal and that Pete could become EATabetical’s very own kebab-connessiour, an expert of all the variations of kebabs all over the world. Both desserts were Turkish (all the dessert items were), but delicious. Pete went for baklava while I tried irmik helvasi, a delllllicious concotion of semolina, butter, sugar, and pine nuts, served with ice-cream. 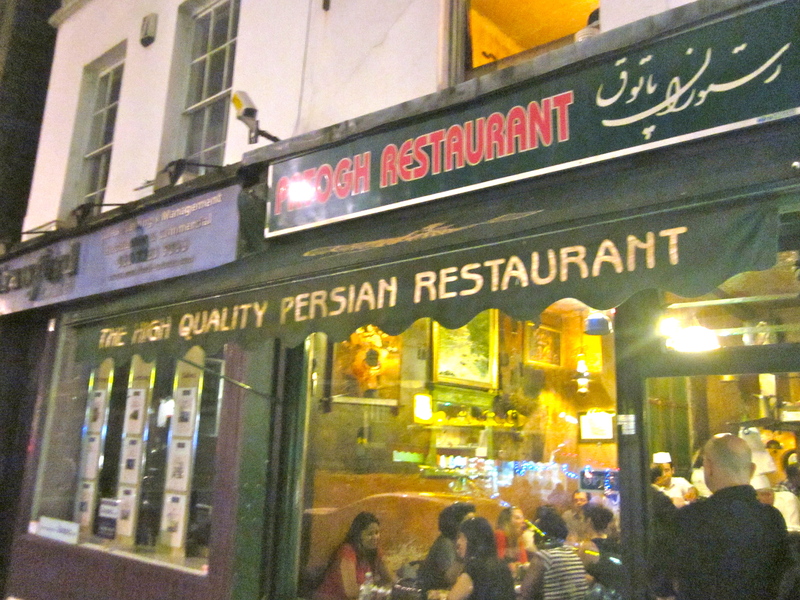 I’d love to find more Pasha-type gems in London- restaurants that deliver good service, consistent, interesting food, and most of all, are full of surprises! And I’ll definitely go back for the dancing. Did you do your part for Goatober? I did. Let me explain. Apparently, October (in the States) was “No Goat Left Behind” month. According to their website, “No Goat Left Behind is a serious project intended to introduce goat as a viable meat product in the United States, while simultaneously aiding dairy farms that have little need for male goats.” While we’re on it, we should also eat more offal and less-common cuts of all animals to waste less and drive down the cost of the the more common cuts (chicken breast, etc. ), according to Andrew Zimmern. Anyway, I kept reading about (how we don’t eat enough) goat on various blogs- particularly here and here– and was reminded that I actually really like goat. 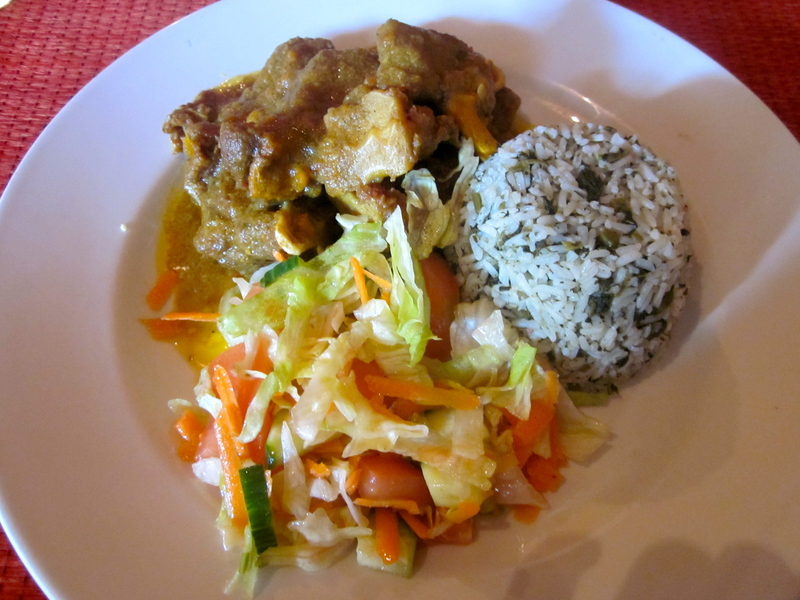 Conveniently, it was time for ‘J’ and goat curry is a popular Jamaican dish. 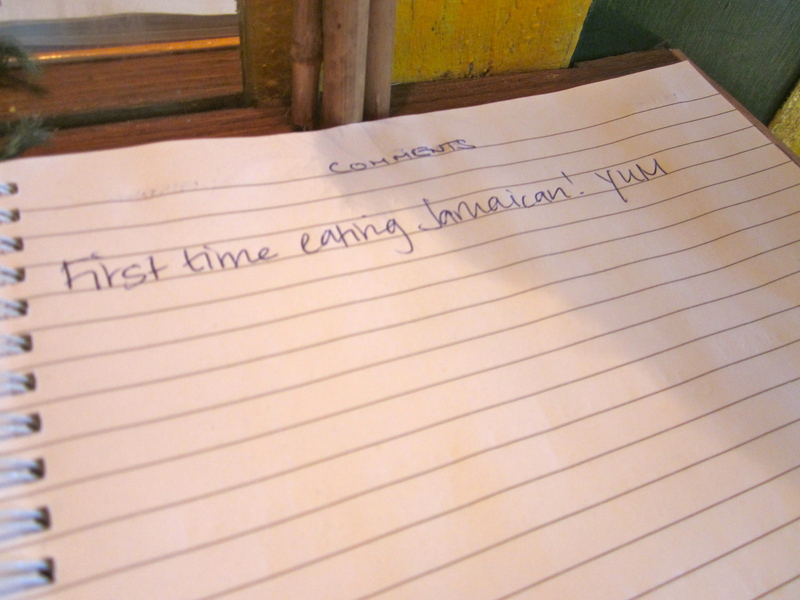 Other than a very mediocre experience I had once when I tore myself away from the Ethiopian vendor at Brick Lane for a change of pace, I had never had Jamaican cuisine. 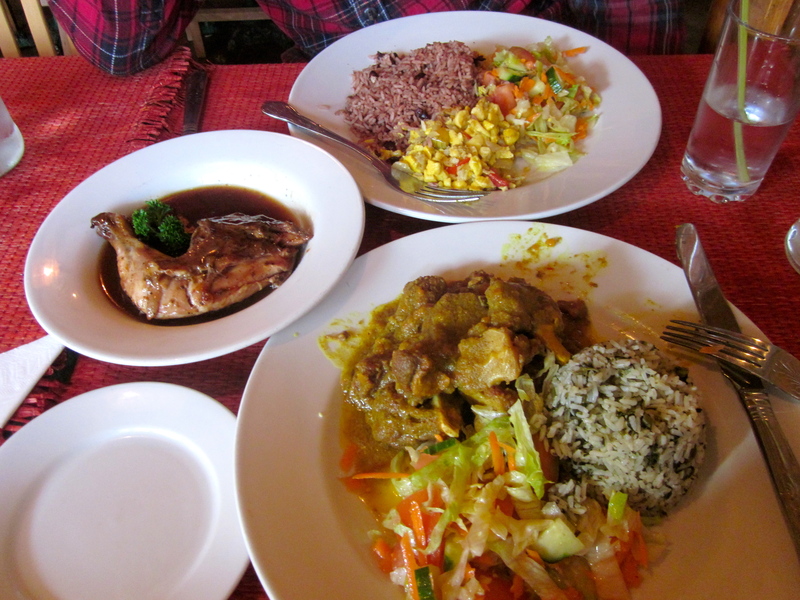 We ordered 1/4 jerk chicken, ackee and saltfish (Jamaica’s national dish), and goat curry. Not only did I get to try a new cuisine during this visit- I also had the chance to try a new fruit and a new vegetable! The fruit was the ackee, which is apparently related to the lychee. It came to Jamaica from West Africa. I can’t really describe the taste, because the saltfish dominated the dish, but the texture was kind of like a peeled peach. In the photo, it’s the yellow stuff. 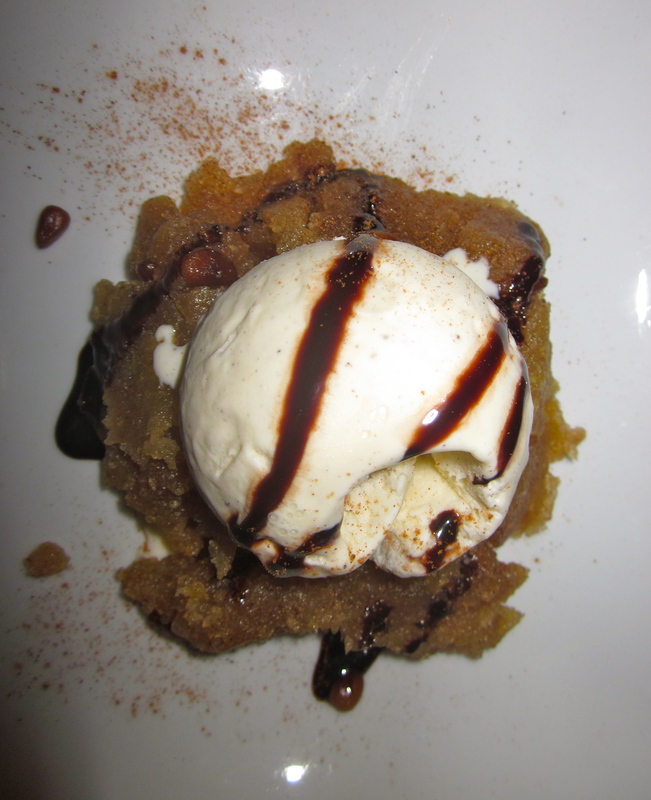 Of the three dishes, this was my favorite. I also tried callaloo, a new but more familiar vegetable, in one of the sides- callaloo rice. It’s basically spinach, or collard greens, or mustard greens and pretty underwhelming when mixed with rice. I’d like to try it prepared on it’s own though, since I love collard greens. 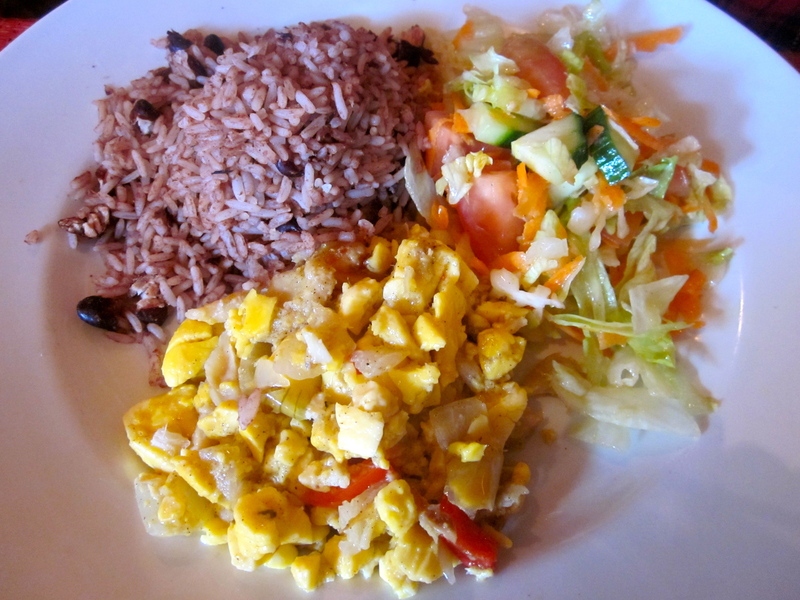 Jamaica's national dish: saltfish and ackee. Jerk chicken is something I was slightly more familiar with, but seemed like a must-order at a Jamaican restaurant. Unfortunately, most of the dishes were luke-warm (despite taking over 25 minutes to arrive) and food that’s not hot enough is a huge pet peeve of mine (Thanks, Mom). Temperature aside, none of the dishes were very memorable. However, I can’t decide if this is because they were mediocre Jamaican dishes, or if I’m simply not that fond of Jamaican food. Either way, I should try more Jamaican/Caribbean food before I decide. So that’s it. Happy belated Goatober. Eat more goat. note: meals seem to be £3-4 pounds cheaper at lunchtime but portions are still dinner-sized. We were asked to write in the guest book! I love fish markets. I get it from my dad, who used to make us wake up at 5am during any vacation near an ocean to go check out men selling fish. I used to think it was crazy, but now I too like to watch men selling fish. So, on Saturday morning Pete and I woke up early (5:45am) to go to the UK’s largest fish market. According to Wikipedia, Billingsgate opens at 5:30am, but I’ve heard the restaurant people go around 3-4am while they are setting up. It’s packed up and closed down by 8am, and next time, I’d go even earlier as they were starting to clean up by the time we arrived around 6:45am. One word of advice- don’t let out any high-pitch yelps if a crab escapes from it’s box and falls to the floor- the fisherman will mock you. Not that I speak from experience. The point of EATabetical, I suppose, is going to restaurants that perhaps don’t feel like England. Well, instead of going a a restaurant that feels foreign for this letter, we went to an entire street. 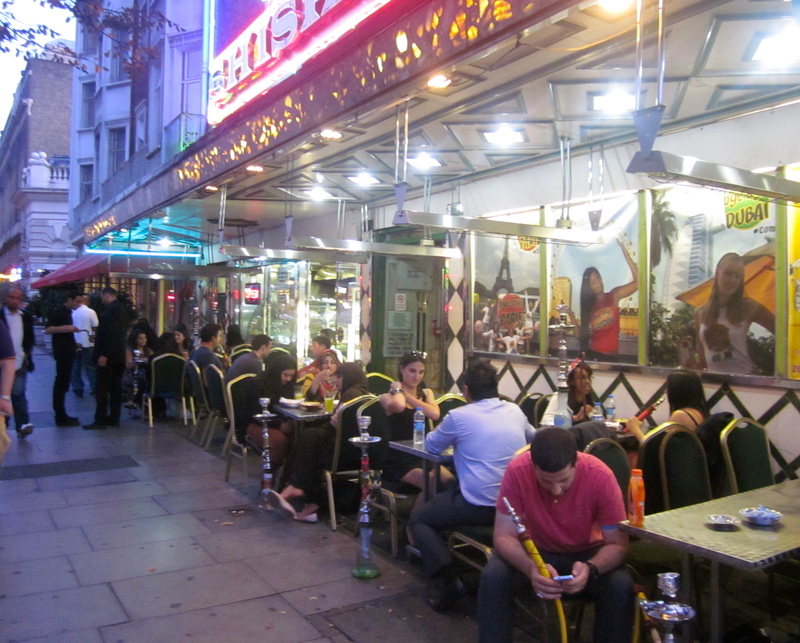 The Southern end of Edgware Road near Marble Arch in West London is known for its Middle Eastern restaurants and late-night shisha bars. 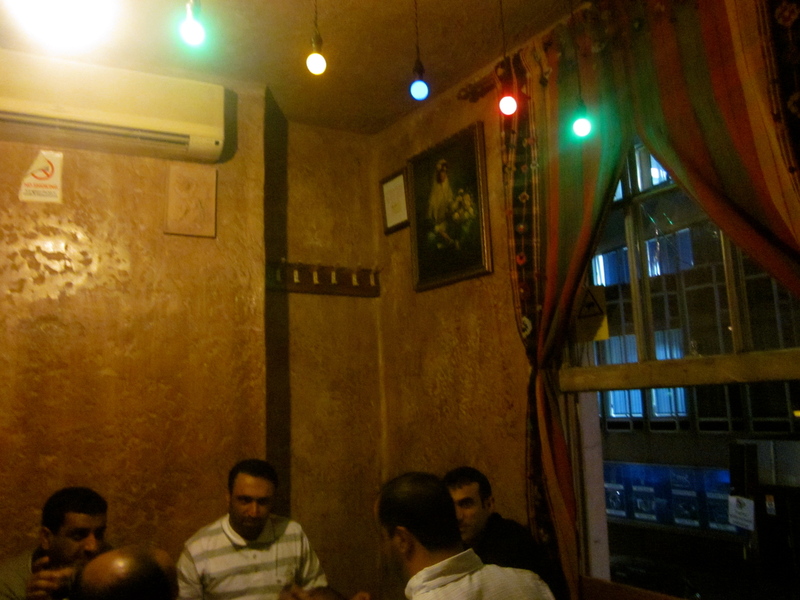 Some areas are even referred to as “Little Cairo” and “Little Beirut.” It is no surprise then, that area is known for some of the best kebabs in the city. I know what you’re thinking- kebabs don’t sound that exotic. But discovering the foods of the world isn’t always about finding the most hard to pronounce dish with the longest list of unheard of ingredients. 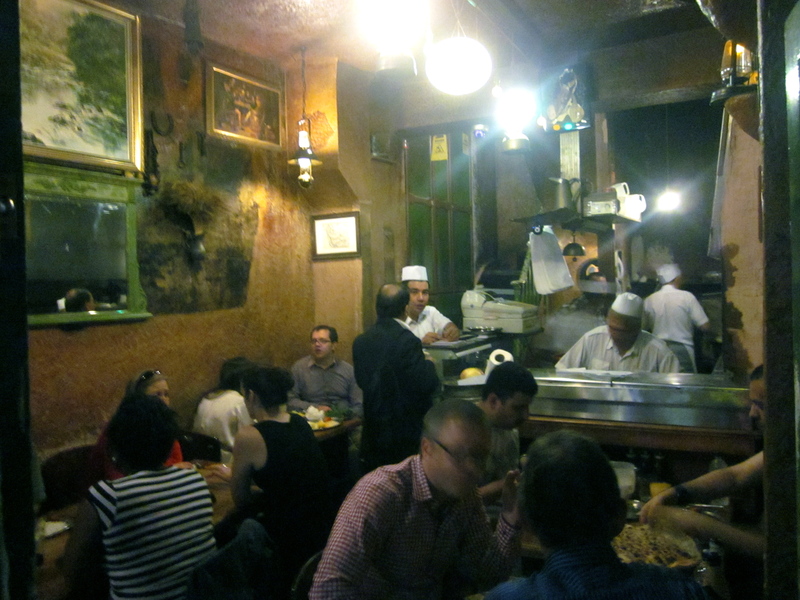 In this case, we decided to make it about eating common Iranian cafe staples, prepared particularly well. Patogh does just that. With only about seven tables scattered on two closet-sized floors and a one-page menu, Patogh keeps it simple. 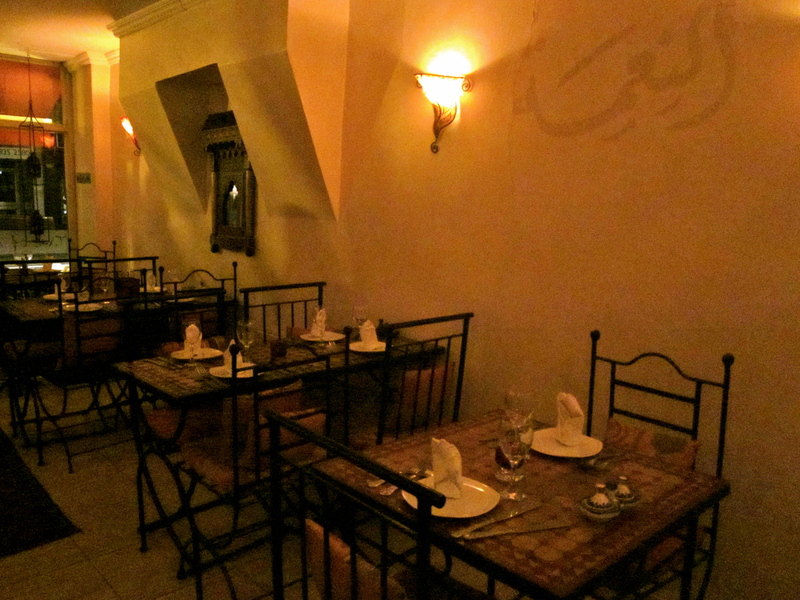 The options are basically a variety of appetizers (hummus, yogurt, salads) and mains that include minced lamb, lamb chunks, and chicken with your choice of rice, bread, or salad. Patogh is also apparently known for their enormous special Persian bread- a delicious cross between naan, pita, and Xinjiang bread, in my opinion. 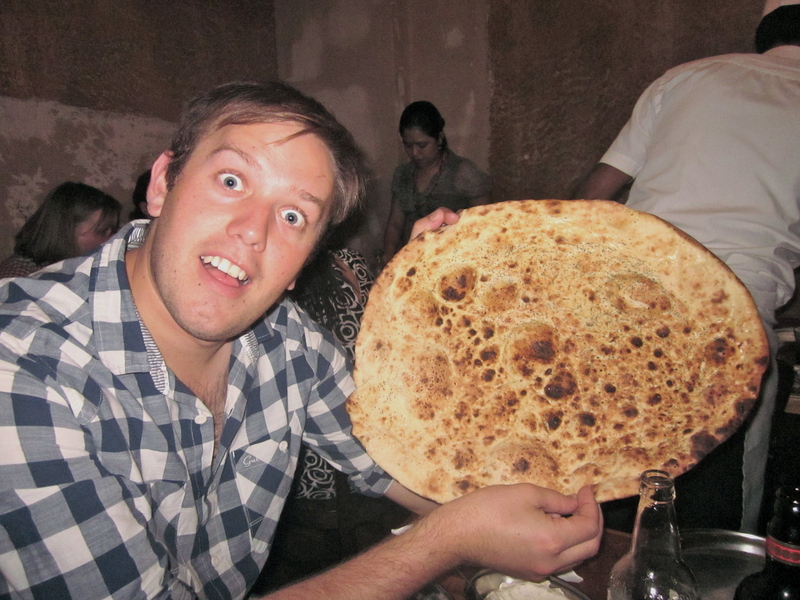 "Special bread," with Pete's head as a size reference. Simple works. Pete ordered the special lamb plate (both kind of lamb kebabs) and I ordered the “whole baby chicken.” Each dish was excellent. 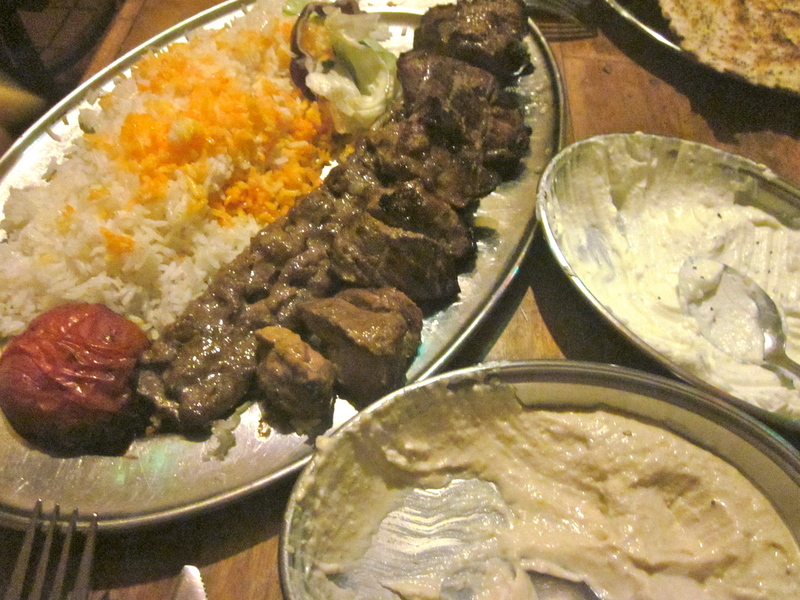 The stand out though, was the lamb kebab (chunks, not mince), which Pete declared the best lamb he’s ever had! 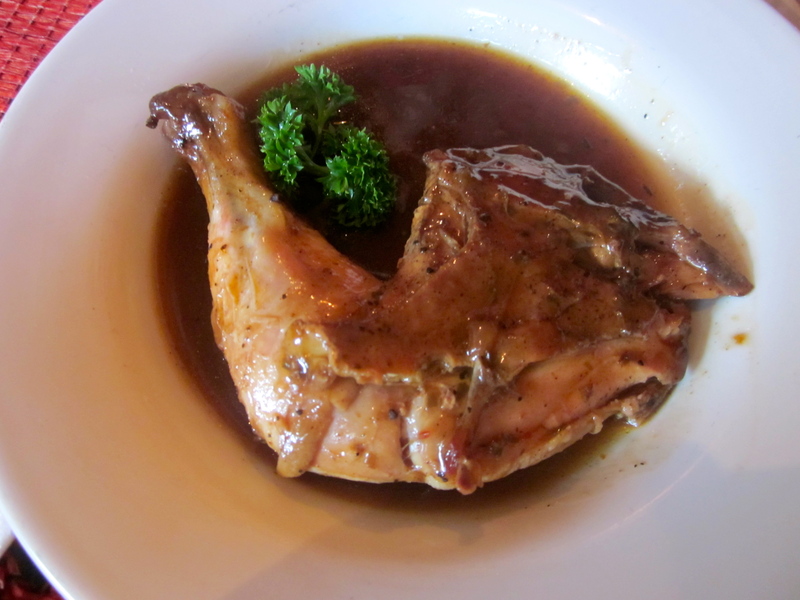 My chicken never stood a chance next to that dish, which was fine, because servings at Patogh are huge. After dinner, we tried to find a bar to sit outside at, people watch, and smoke a water pipe. Though there are dozens upon dozens to choose from and fruity tobacco can be smelled within a mile radius of Edgware Road, we had no such luck. The weather last weekend was waaaaaaay to warm for anyone to be missing out on an opportunity to be outside! I guess we didn’t try any new foods on this particular outing, but I definitely won’t be limiting kebabs to the late-night, drunk-food category ever again! Because you know you totally want to get emails when I update. EATabetical on What’s This Food! B is for British, but this doesn’t count.